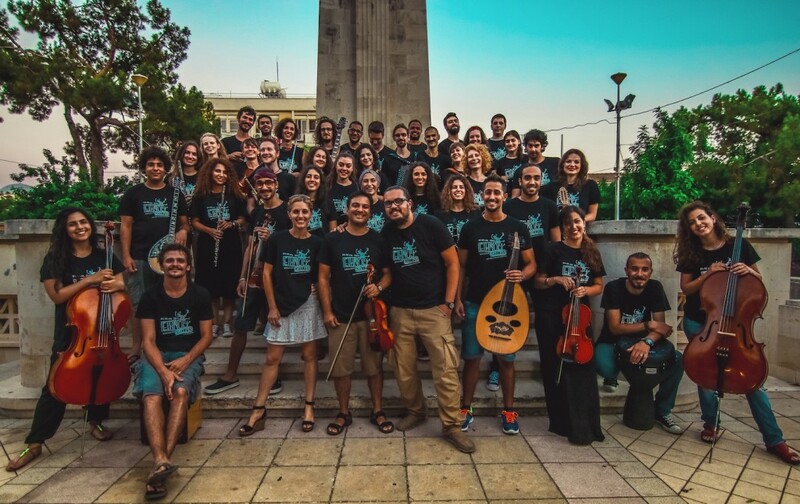 After the success of previous “Ethno Cyprus” traditional youth music camps held in 2005, 2006, 2008, 2010 and 2013, this year Euro-Arab Youth Music Center organised “Ethno Cyprus 2016”, which was held in Limassol, between July 1st and July 10th 2016. 35 young virtuosos of traditional instruments from European (Belgium, Croatia, Cyprus) and Arab countries (Egypt, Jordan, Lebanon), met to explore their common cultural identity. Using music as a starting point they created a platform for intercultural dialogue that fosters mutual understanding and respect. Cultural activities contribute to economic growth and social cohesion, so “Ethno Cyprus” aspired to support the creativity and mobility of young musicians, who will become ambassadors of positive changes in their communities. The end result of the camp was a unique concert program combining creatively the music sounds of the Mediterranean under the artistic leadership of Andreas Christodoulou. The concerts were held on July 8th at Heroes Square, Limassol in collaboration with Rialto Theatre and on July 9th at Geroskipou Square, Pafos in collaboration with the European Capital of Culture-Pafos 2017.